In the realm of science fiction, it’s hard to get bigger than Star Trek or Star Wars. Each has a long history in multiple mediums, massive fan bases, and are still going strong. It would be difficult for any franchise to match those levels of success, but Ridley Scott thinks Alien should have. “There’s no reason why Alien should now not be on the same level for fans as Star Trek and Star Wars,” Scott told The Toronto Sun. And, you know what, he’s probably right! There have been six core Alien movies, a few spinoffs, plenty of comics, merchandise, you name it. It’s a franchise with a lot of fans, deep mythology, and every opportunity to flourish. Yet no one would ever rightfully put Alien in the same league as Trek and Wars, even if, hypothetically, it “should” or could be on that level. But why? The main reason Alien never connected like Trek or Wars is the R-rating, plain and simple. 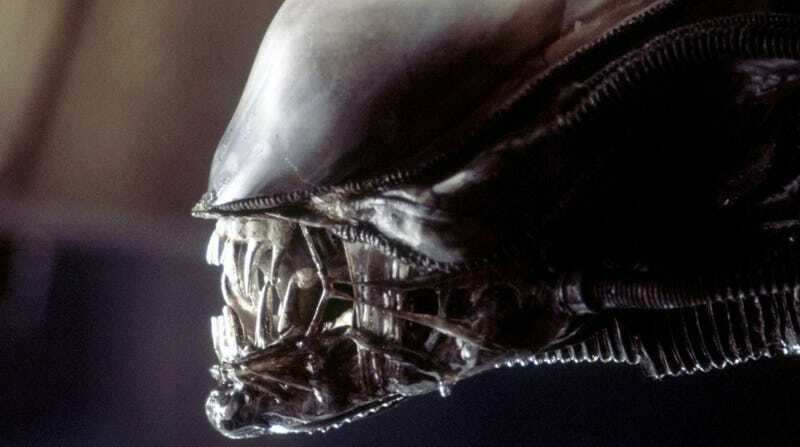 Alien has always been a franchise that was more violent and intense than most other mainstream scifi franchises. But that rating limits the film’s reach, especially compared to franchises Star Trek and Star Wars, franchises that have enjoyed more family-friendly PG or PG-13 ratings. Another reason for the difference in franchises is how the latest Alien films have changed the focus so radically. Prometheus and Alien: Covenant are no longer about the actual xenomorphs at the center of the first four films. In fact, Scott himself has said if the franchise moves ahead, he sees future films being even less about them and more about artificial intelligence. That strategy of evolving the franchise, while bold, hasn’t exactly resulted in mega success. On the other hand, new Star Wars and Star Trek movies have taken opposite approaches. Star Wars, at least with The Force Awakens and Rogue One, have not just embraced the feel of the originals, they’ve dialed it up to 11. And the new Star Trek movies have made the franchise more mainstream, which has been widely criticized, but certainly helped draw in a new fanbase. You’d assume overall quality would be a reason too, but the numbers don’t add up. Out of all the Alien movies, only two are great, right? Alien and Aliens. The rest are all over the map in terms of fan adoration. Well, the same can be said for both Star Trek and Star Wars. Star Wars has A New Hope and The Empire Strikes Back, while Star Trek basically only has Wrath of Khan as its unabashed classic movie. However, Trek has plenty of TV episodes that more than make up the slack. Each franchise is a, frankly, surprising mix of great and mixed quality. Anyway, Scott seems to think more Alien films will be coming—“David is a fantastic villain,” he told Toronto Sun—and we’ll always give them a shot. But while Alien may have originally been conceived as Scott’s reaction to Star Wars, that’s basically where the relationship ends.